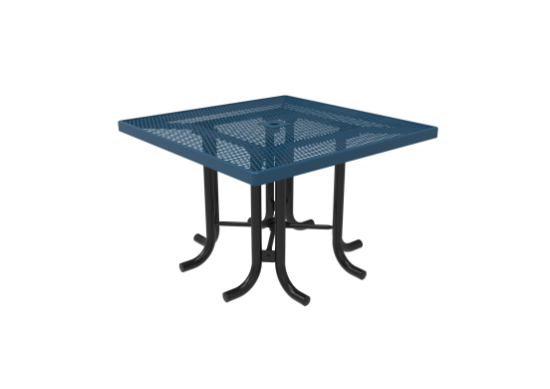 The Diamond Pattern Square Patio Table without Seats is a cozy outdoor table that is perfect for small meals and gatherings. The top of the table is 46 square inches, leaving plenty of room for plates and food. It has a portable base that makes it highly stable while allowing it to be moved around easily. The Diamond Pattern steel texture is particularly lightweight, making transportation simple. This base is also fortified by several metal beams that give the legs plenty of strength. It is even designed to hold outdoor umbrellas in place, so that you can shelter the table beneath its own shade structure. 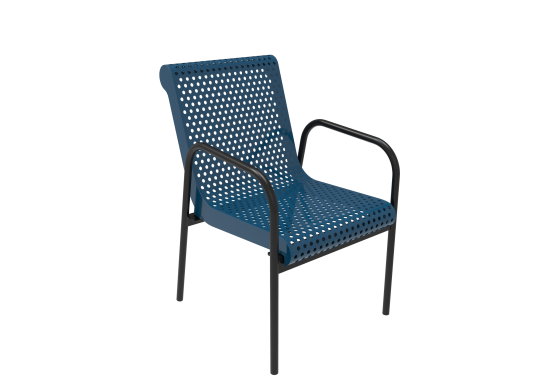 This model does not have any attached seats, allowing you to substitute any seats of your choosing. 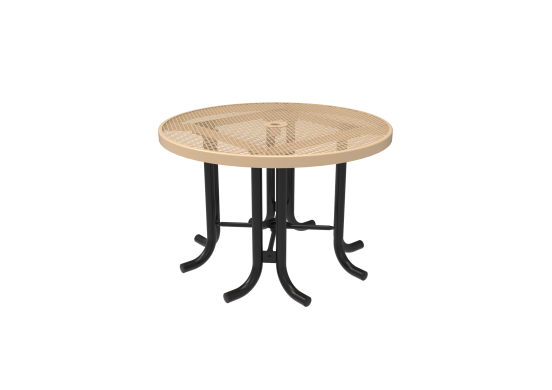 However, we also sell stackable chairs that match the style of the table, and can be consolidated into a pile to save space.